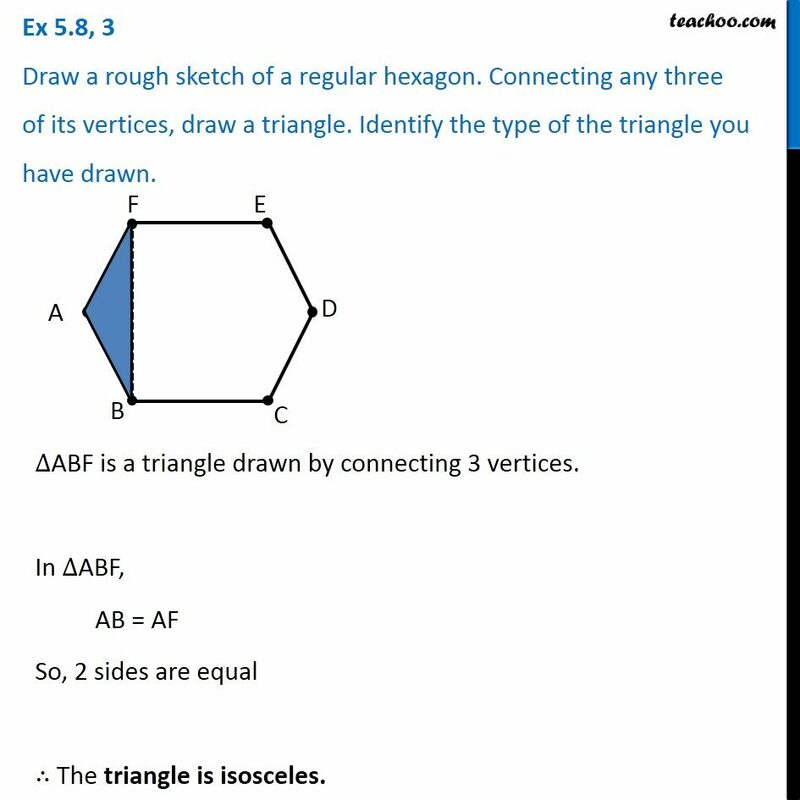 Ex 5.8, 3 Draw a rough sketch of a regular hexagon. Connecting any three of its vertices, draw a triangle. Identify the type of the triangle you have drawn. ∆ABF is a triangle drawn by connecting 3 vertices. In ∆ABF, AB = AF So, 2 sides are equal ∴ The triangle is isosceles.